Explore chemistry that happens in the Kitchen! 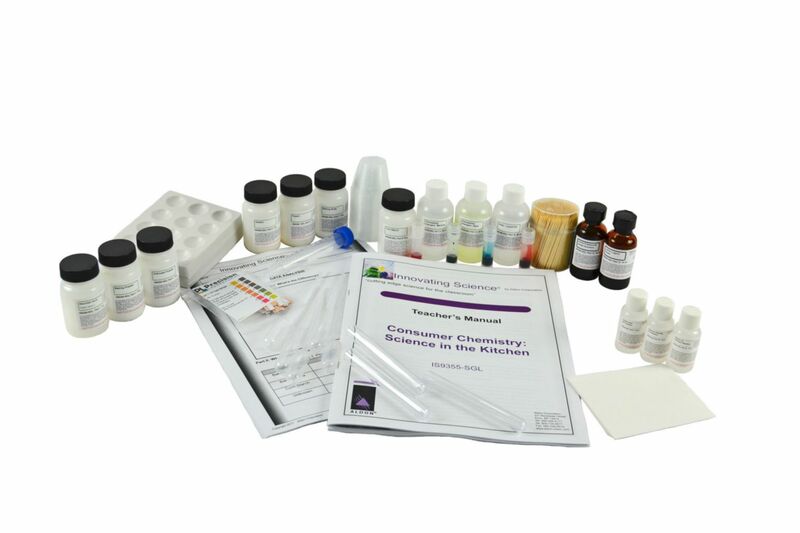 This comprehensive kit incorporates a variety of scientific techniques all themed around common kitchen materials. Students will perform chromatography on commercial food colors, use chemical tests to identify an unknown cooking ingredient, examine the protein digesting ability of a common meat tenderizing enzyme, use titration to quantify vitamin C levels and then test an unknown juice or soda (not provided), and lastly examine some of the differences and similarities in the materials used to clean up (soap, hand dishwashing detergent, and machine dishwashing detergent).